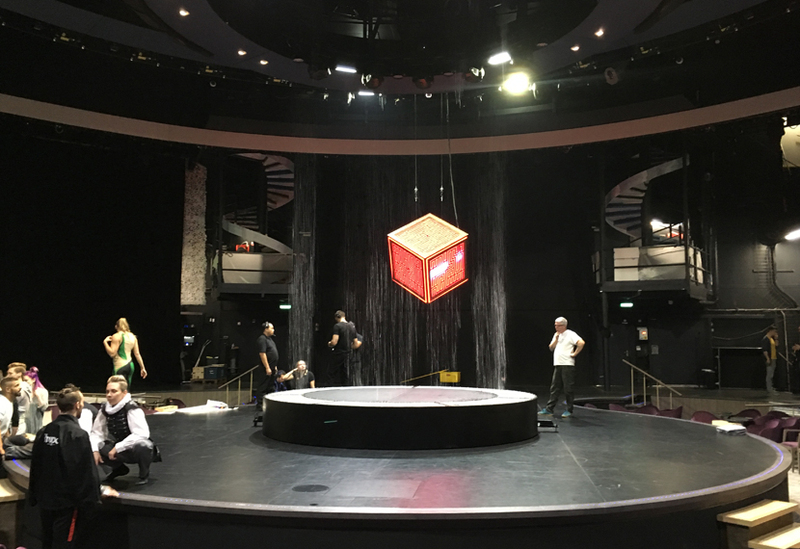 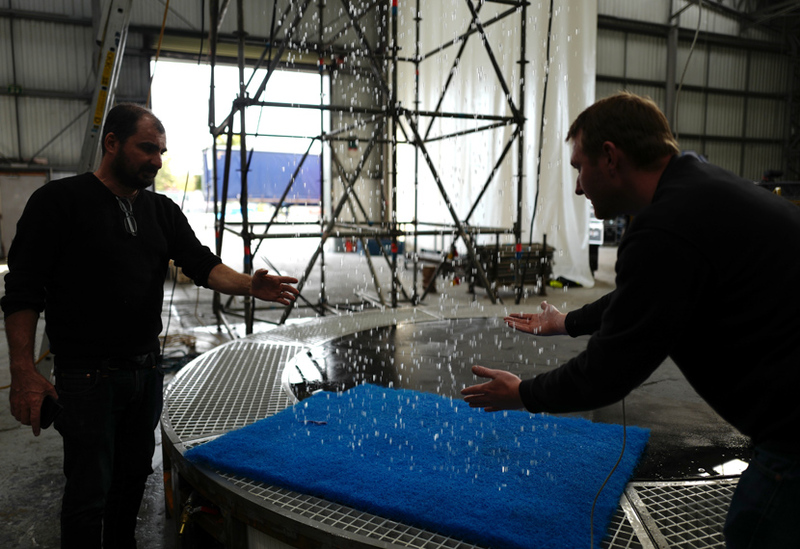 We were asked by our client, Joe Frisina, to help with a one-off water feature for the high-spec theatre on board the Celebrity Edge cruise ship. 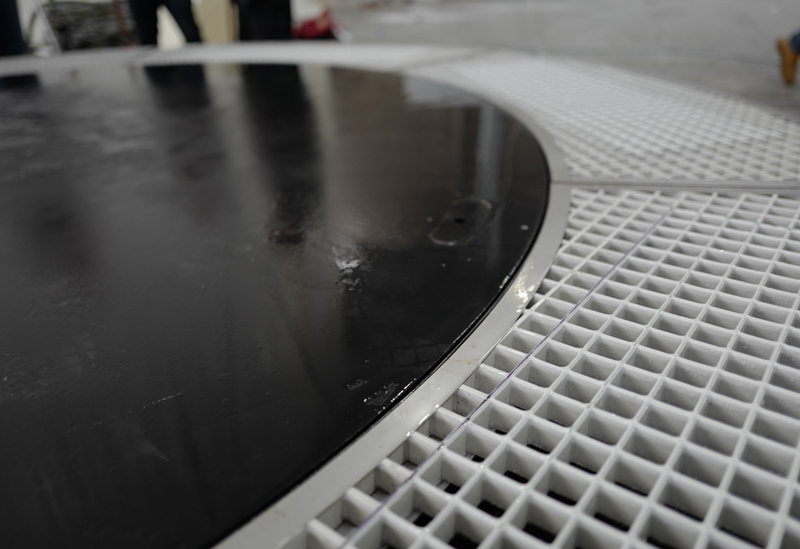 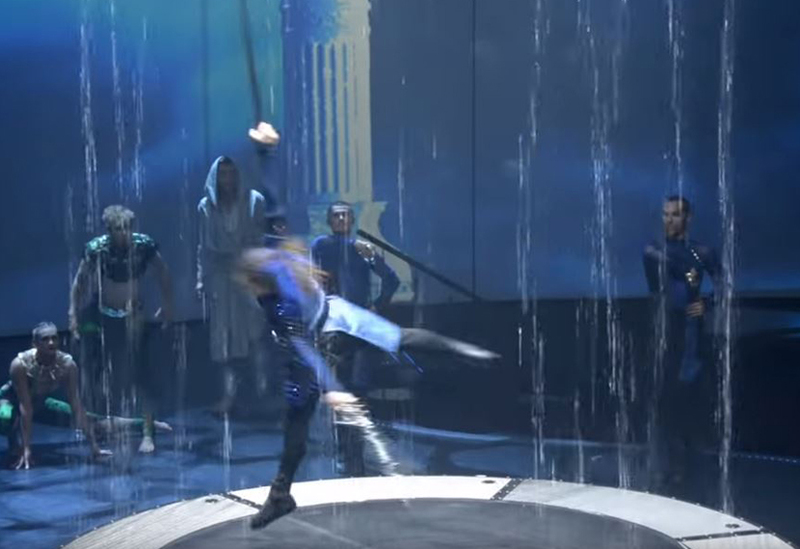 Forming part of an on-stage rain curtain effect, we manufactured and installed a circular trough with integral taps and bleeders to manage the water. 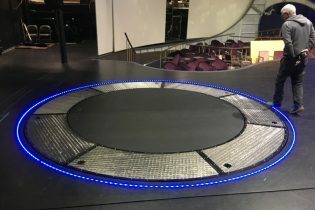 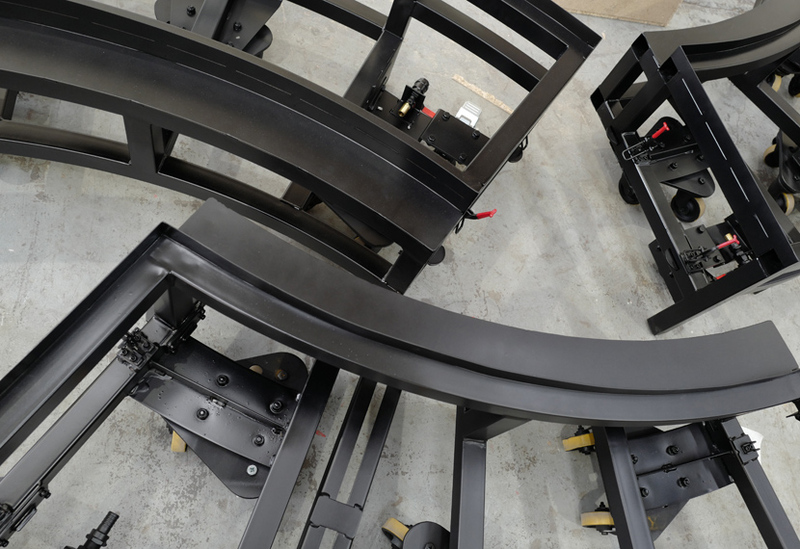 The 4m diameter steel and aluminium trough was manufactured in six sections to allow for trucking on and off stage, rising on a lift and moving into position along recessed tracks. 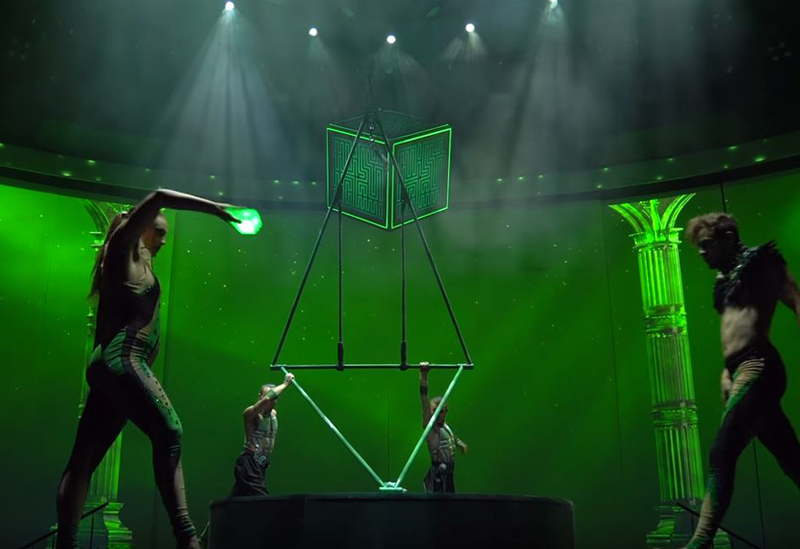 We also manufactured and installed a pivoting diamond shaped frame for an aerial performance, the rotating frame providing a dynamic performance space for two aerialists. 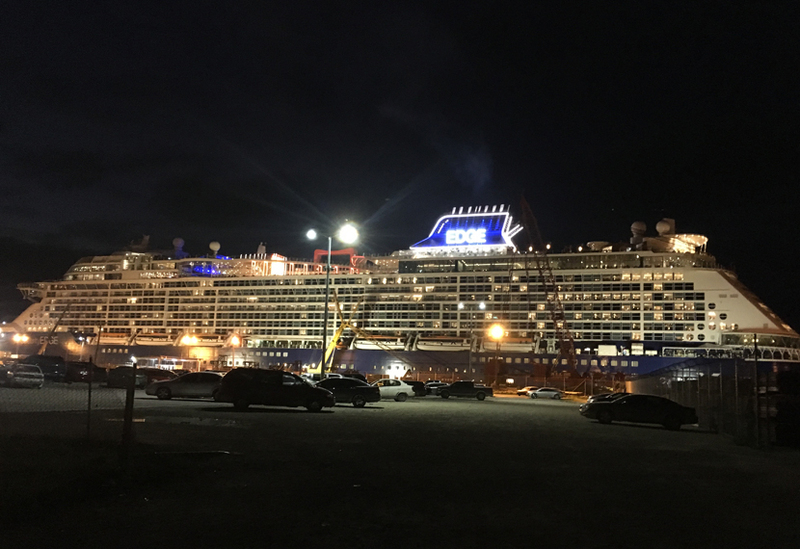 Our team of two installed the trough on the Celebrity Edge as it took a trial run from Nantes to Miami and on to the Bahamas. 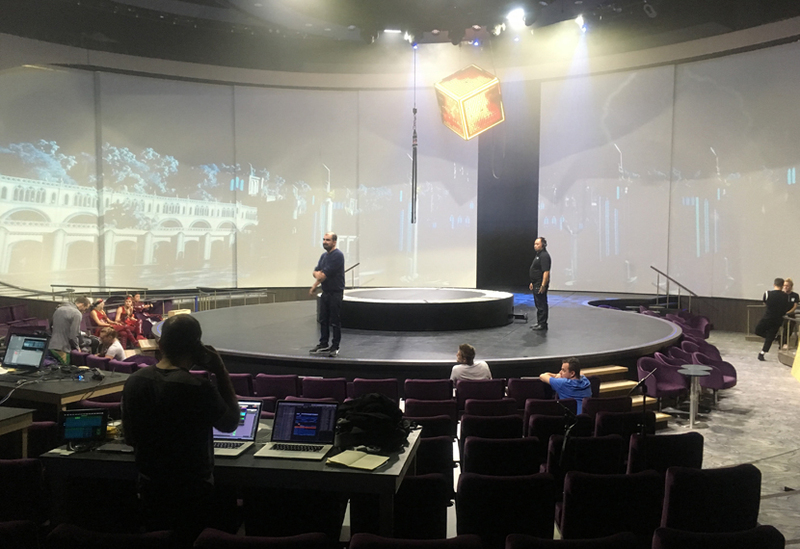 After installation, our team provided training for the on-board theatre staff.